Botanical Description: Yarrow is a perennial plant that embodies fernlike leaves along with flowering sprays that is known to be native and an introduced species. The plant typically ranges from 4-38 inches in height. Yarrow is an excellent neutralizer, it attracts butterflies, is mainly deer resistant, can spread quickly and may invade natural areas. The leaves alternate as they move from the base of the plant, leaving a space between leaves of about 2 inches and decreasing in distance to ¼ inch as it approaches the bloom. The overall leaf ranges from ¼ to1 ¼ inch wide by 1 ¼ to 6 inches long. The boldly white or pale lilac flower heads have flattened like dome shape of which bloom from April to September. Current Distribution and Local Habitat(s): Yarrow was introduced to North America by early colonists, which soon became a valued remedy used by many indigenous people. Yarrow tends to grow in a wide variety of places due to its ability to adapt frequently and it multiplies rapidly by its seeds. Yarrow plants span from grassy areas, meadows and pastures, near cement and by roadsides. Common yarrow is seen throughout the United States and British Columbia. Yarrow is situated in dry to wet landscapes as the roots are very adaptable. Typically the soil pH varies between neutral, alkaline or acid. Ethnobotanical Application(s): Yarrow is from the Asteraceae family (exceedingly larger and widespread family) and has similar traits to the daisy or dandelion. There are over 80 different species of yarrow, each of which has contrasting components. Yarrow is one of the most widely medicinally used plants for targeting wounds, respiratory infections, skin conditions, digestive problems and serval other services. Several indigenous people across the United States and British Columbia Chippewa used the leaves in a steam inhalant for headaches. The roots were also chewed and used as an effective pain-killer for headaches. The leaves and the part of the plant that are above ground are the parts that are used for medicinal attributes. Furthermore, Yarrow is also a primary ingredient in cosmetics along with ornamental uses. The Coast Salish people that were situated near oceans dried Butter Clams on Yarrow stalks and then ate the clams directly off the stalks. Uvic Campus Location(s): No known locations on Uvic campus. Applequist, Wendy L., and Daniel E. Moerman. 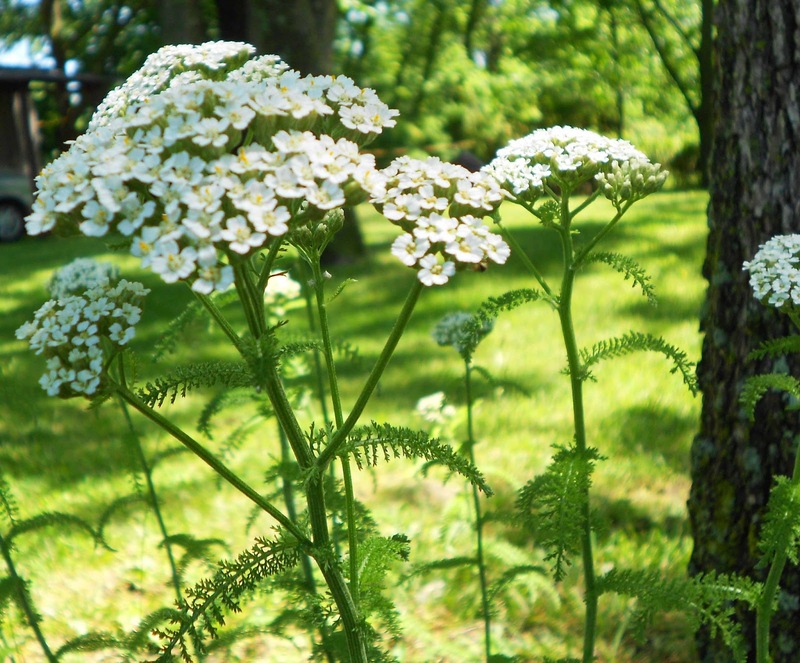 Yarrow (Achillea millefolium L.): A Neglected Panacea? A Review of Ethnobotany, Bioactivity, and Biomedical Research. SpringerLink. April 14, 2011. Retrieved from: http://link.springer.com/article/10.1007/s12231-011-9154-3.